We welcome 2 pets per apartment home. Our non-refundable pet fee is $200. Pet rent is $30 for one pet and $50 for two pets per month. Breed restrictions apply. Please contact leasing office for complete pet policy details. Parking Comment: Direct access garages and assigned covered parking available. Please contact leasing office for complete details. Architecturally unique exteriors finished with stucco and stone, soaring ceilings and tasteful décor inside, incredible resident service; Verona is the pinnacle of apartment living in Henderson, Nevada. Every amenity is rich, every feature is top notch. Our gated, professionally landscaped and beautifully maintained property will please your eye everywhere you look. Our superb resident clubhouse is the heart of Verona. The inviting common area welcomes you to relax by the fireplace, fit in a workout in the sleek fitness center, cook up a little something delicious in the demonstration kitchen, or take advantage of the free Wi-Fi on your tablet or laptop. The phenomenal pool and spa area is furnished with resort-style lounge chairs, just waiting for you to come relax in the sun. Adjacent is the covered cabana with fireplace, gas barbecue, inviting seating and ceiling fans. 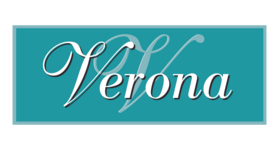 Living at Verona is just like living at a luxury resort! Minus the tourists, of course! With more than 40 years of experience managing luxury apartment home communities, Security Properties Residential brings resident services to a new level. Our professional management and maintenance team members take the extra steps and time necessary to ensure your satisfaction, including 24 hour emergency maintenance response. Guaranteed. Verona is a fabulous home for dogs and cats, too! We understand the relationship that people have with their pets, and we want to facilitate that relationship in all the best possible ways. Our management team members are happy to give you further details on breed restrictions, pet deposit and property policies. Pet owners are asked to be courteous, pick up after their pets and observe quiet hours. The result? Everyone gets a lovely environment to live in where you can enjoy your pet’s company!